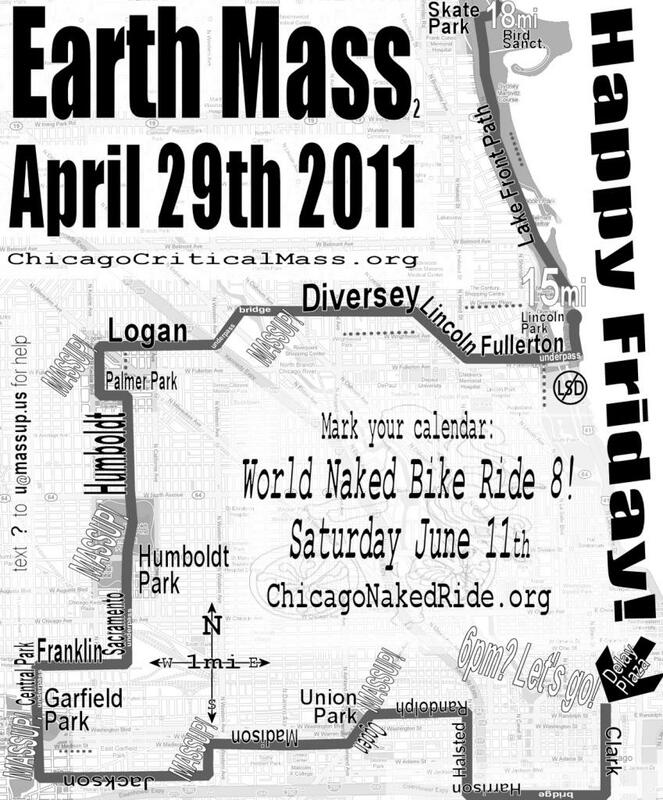 Critical Mass is a very large group bike event, gathering in Chicago the last Friday of every month for more than a decade. Leaves Daley Plaza downtown around 6pm. 2011.04.29 Earth Mass 2 - Andrew Bedno Parks intensive mass designed to coincide with Earth Month (April), Earth Day (April 22nd), and Arbor Day (April 29th). Passes through major parks including Union, Garfield, Humboldt, Palmer, Logan, Lincoln, more, following tree-lined boulevards, ending along lakefront path.